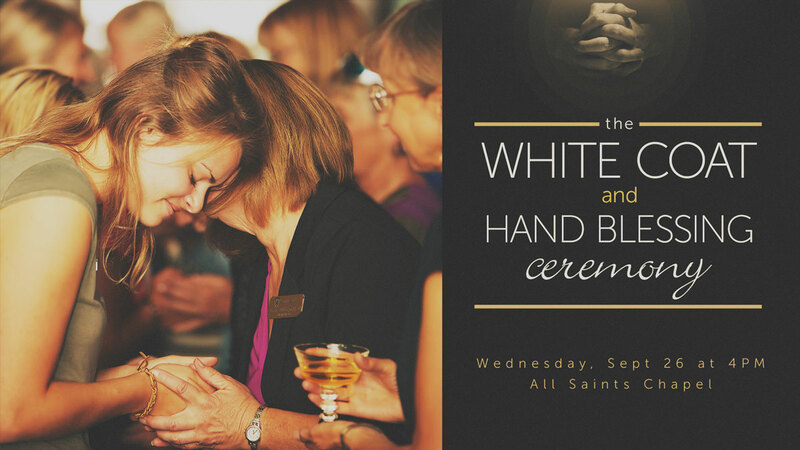 On September 26, 2018 at 4:00 p.m., Carroll College Nursing Program will host its inaugural White Coat and Hand Blessing Ceremony in the All Saints Chapel on the Carroll College campus. The White Coat Ceremony is a rite of passage to emphasize the importance of compassionate patient care at the very start of training. We are planning to invite our 127 undergraduate nursing students to recite an oath to dedicating themselves to providing the highest quality care and services to all clients. Students will be wearing their white coats during the ceremony and will receive a Keeping Healthcare Human pin from The Arnold P. Gold Foundation to remind them of how important compassion, caring and humanism is to the healing of their clients. Additionally, each nursing student will have their hands blessed by one of the Nursing faculty to symbolize the healing of our human touch as nurses. The White Coat Ceremony was initiated in 1993 by Arnold P. Gold, MD, a professor and pediatric neurologist, who was a passionate advocate for humanistic healthcare. Dr. Gold believed that the oath taken by new physicians at the end of medical school came too late. Through the nonprofit organization that he and his wife Dr. Sandra Gold started, The Arnold P. Gold Foundation has expanded the White Coat Ceremony around the globe. Funding for Carroll College's inaugural ceremony was provided by the Gold Foundation through the generous support of its trustee and donor Elaine Adler. Carroll College was among 50 nursing schools selected in 2018 to launch their first White Coat Ceremony. A reception in the lobby of All Saints Chapel will follow the ceremony. All are welcome.